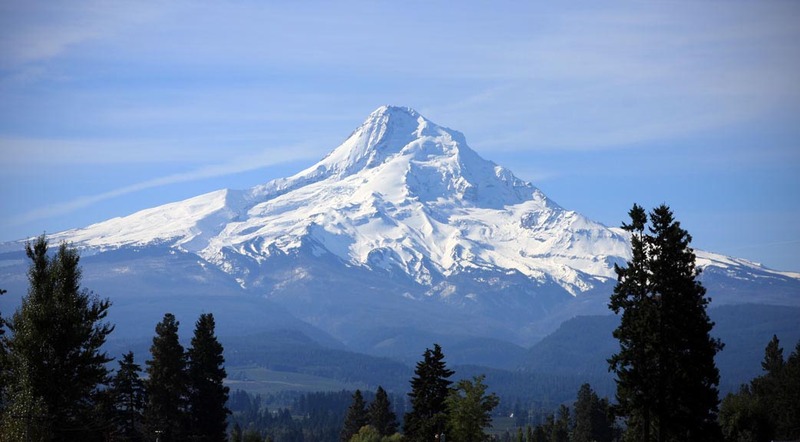 Sea to Summit is 4×4 equipped and offers Columbia Gorge and Mt Hood Tours year round! Sea to Summit’s most scenic and informative full day tour, this tour is not to be missed! Your day begins with visits to Chanticleer Point, Crown Point and the Vista House, all breathtaking viewpoints of the Columbia River Gorge. Travel along the Historic Columbia River Highway constructed in 1912-1914 and explore numerous of Columbia River Gorges best waterfalls, including 620 ft. Multnomah Falls, one of North Americas tallest year round waterfalls. Continuing on, it is a short trip to the Bonneville Dam salmon ladders and Oregon’s largest fish hatchery. From the Bonneville area we pass the Bridge of the Gods and travel to the town of Hood River, Oregon the wind surfing capitol of the world. While in Hood River area a stop for lunch, by a fresh fruit stand or winery is always a option during the tour. Sea to Summit’s Columbia River Gorge and Mt. Hood Loop Tour is amazingly scenic and very informative, both historically and geographically. Make sure to bring comfortable shoes, light jacket, and a camera on this awesome Sea to Summit Tour!